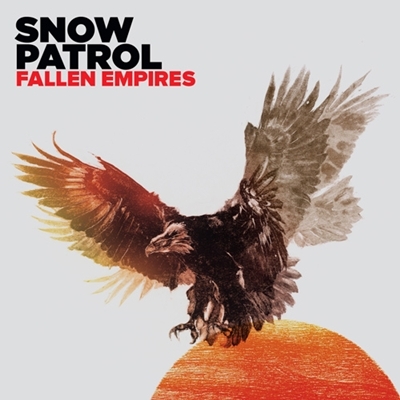 Five member Irish band Snow Patrol return after a three year hiatus with their sixth album Fallen Empires. The album was released January 10th through various online stores which you can purchase on Amazon or iTunes. Frontman Gary Lightbody’s track-by-track explanation can be viewed here. I’ll Never Let Go starts with a pulsating beat followed by twangs of guitar and Lightbody’s singing paired with American folksinger Lissie goes for a more dramatic, gospel-esqe sound. It continues with a repetitive lyrics and a bit of harmonizing backed by a choir and a gritty guitar rift. Called Out of the Dark goes more in the European dance genre with its bouncy guitar at the intro and throughout the song.The chorus changes to a higher pitch that’s borderline modern disco a la Madonna’s ‘Hung Up’.Things are a little calmer with The Weight of Love. From the barely there guitar notes played in the intro . A few notes in a strong bass drum and grittier sounding guitar add some character to the song. The song without the lyrics is pretty enjoyable, but the singing doesn’t compliment the song as well. This Isn’t Everything you are is definitely what most Snow Patrol fans are used to listening to. It has that element of honesty and vulnerability that their 2006 hit ‘Chasing Cars’ had. The strings, the simple lyrics and the amazing late half of the song sounds amazing. The Garden Rules stays with that intimate sound that the previous song did. The harmonizing with Lissie sounds great and the lyrics, although sometimes cliche, sound pretty nice. Fallen Empires sounds a bit more Berlin acts an interlude for the next song, filled with xylophone and triangle. Lifening is a ballad with simple string instumentation. Lightbody lists off his wishes in life like ‘ Ireland in the World Cup/Either North or South’. New York continues with the strings although in more of a majestic manner. The emotion of wanting what you can’t have is definitely here and it sounds good. Those Distant Bells is an acoustic song, filled with cymbals and a somber sound. This song is pretty, but never reaches a climax, just a llot of build up so this can get boring fast. The Symphony has more of a pop sound with a bouncy guitar and lighthearted lyrics. The President starts off with the heavy sound of piano and violins. The singing in this song is very grave and emotive. This would be the perfect song for a dramatic scene on ABC’s “Grey’s Anatomy” where they gained the fanbase with “Chasing Cars”. Broken Bottles Form A Star (Prelude) concludes the album with a riple of piano and acoustic guitar finished off with violins.